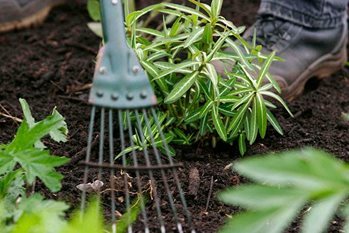 Plants in pots need potting up every year or two to allow more space for their roots to develop and to replace tired compost. But getting the right sized pot is important for success and when the pot is too large problems with overpotting arise. What problems does overpotting lead to? Overpotting is a term used to describe a containerised plant that has been potted into too large a container and is suffering as a consequence. In the short term after potting up, your plant is most likely going to look fine. The reason the plant is showing signs of stress is because the large volume of new compost that was added when it was potted up is sitting wet for a long period, reducing aeration around the roots. Instead of the roots growing out into the new compost, they simply rot. Plants in the ground do not suffer the same fate as the soil is inherently better drained than compost in pots. Although the compost will dry naturally through evaporation, it takes longer when there is a greater proportion of compost to roots. The more fresh compost there is, the more it will stay wet, creating a soggy ring around the rootball. Finer growing medias that hold onto more water are particularly prone. Plants that show some of the symptoms described above are often mistakenly watered more not less, thus adding to the problem. And if the overpotting was done late in the growing season (after June), rather than in spring, this too will mean it is exacerbated by slow plant growth and wetter conditions. Ideally, it is best to avoid overpotting in the first place. Don’t be too generous. Stick to the rule of thumb of only potting into a slightly larger pot, not jumping into a significantly bigger one. This usually means a pot that is 2.5-5cm (1-2in) wider in diameter than the previous container and not much deeper (be careful if potting into deep pots such as ‘long toms’). Or, if you know how quick growing your plant is, only pot into a container that you consider the roots will begin to fill by the end of the growing season. Leave it in the large pot but water extremely carefully, only watering when there are signs of the compost drying. This is particularly important in the first few weeks after repotting. Consider foliar feeding (i.e. a liquid fertiliser sprayed directly onto the leaves) to encourage growth without waterlogging. Go to stage two if symptoms appear. Gently tip the plant out of the large pot and allow any loose compost to fall away (it is a good idea to do this over some newspaper). Down size the plant into a container that is only just larger than the inner rootball. The loose compost can be saved and used again. Water sparingly until there are signs of the plant recovering.